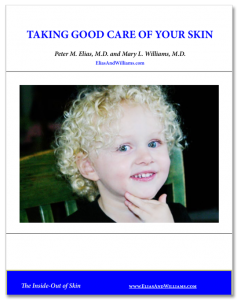 Q&A Archives - Page 2 of 3 - Elias and Williams: The Inside-Out of Skin by dermatologists and skin researchers Peter M. Elias, M.D. and Mary L. Williams, M.D. While we strive to reply to queries posted to us, we may not be able to answer all individually. Many of the questions you pose may be of general interest to our readers and will be addressed here. Q: Is it true that ‘fast foods’ cause eczema? Q: Is it true that eating fast foods causes eczema? A: Evidence is mounting that diet can influence the frequency and severity of eczema and other atopic disorders, like asthma and allergic rhinitis (hay fever). As a whole, these studies suggest that eating a diet enriched the polyphenols found in whole cereals and nuts, as well as one enriched in fruits would have a protective effect. In contrast, the consumption of foods enriched in ‘n-6’ fatty acids, which are abundant in commonly used vegetable oils, like corn or soybean oil, seems to favor the development of eczema and asthma. To address this issue further, the International Study of Asthma and Allergies in Childhood (ISAAC) obtained information about diet, including the frequency of fast food consumption, obtained via questionnaires sent to almost 800,000 parents and children in over 50 countries. The results of the study support earlier impressions that consumption of fruit is protective, but more importantly, that atopic disorders, including eczema, worsen with high rates of fast food consumption. We are certainly no fans of fast foods, but a major problem with this study is that excessive fast food consumption clusters with certain cultures and lower socioeconomic classes. These populations tend to live in the most crowded urban settings, with higher exposures to cockroach and dust mite antigens. Therefore, it is possible that the observed dietary effects could reflect where you live, as much or more that what you eat. Bottom Line: Although the conclusions of this study may not be as clear-cut as the the authors propose, there is no reason not to recommend a diet enriched in fruits and vegetables and with minimal exposure to fast foods in patients with or predisposed to eczema and other atopic disorders. In fact, that’s good advice for everyone. Q: Do pores on the skin need to breathe? 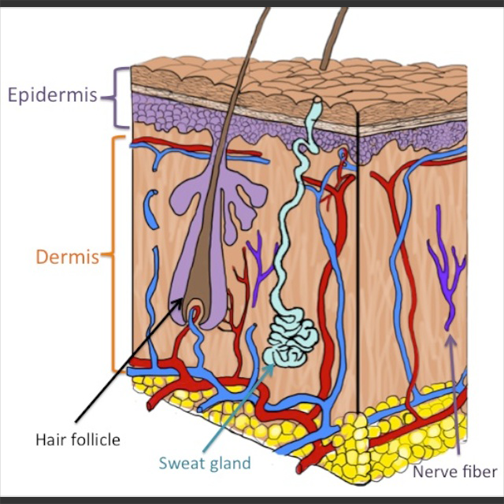 Drawing showing pores on the skin where hairs and ducts of sweat glands come to the surface. Pores on the skin represent openings of hair follicles and sweat ducts. These pores do not ‘breathe’ in the usual sense – our lungs take care of that need. Yet, it can help to keep your pores open. Sweat gland openings can become obstructed – for example, by wearing skin tight clothing when we exercise. This can result in an itchy heat rash, or miliaria, Hence, it is advisable to avoid overdressing when it is hot, and to remove sweaty clothing and shower as soon as possible after exercising. The widespread plugging of sweat (or ‘eccrine’) glands can result in heat intolerance – with the risk of heat stroke. Individuals who have one of the skin disorders called ichthyosis, where the outermost layer of skin, the stratum corneum, is too thick over most or all of their body, often experience overheating because their sweat ducts are obstructed by scales. Q: Is it true that drinking more water would be good for my skin? We are frequently told that we should drink more water. Consider too, that skin’s most important task is to prevent the escape of our precious body water – this is our critically important skin permeability barrier. This might lead one to conclude that drinking more water would indeed be good for our skin – just as it is purported to be for the other parts of our body. But at the heart of this lies a misconception about water and how our body handles this precious resource. 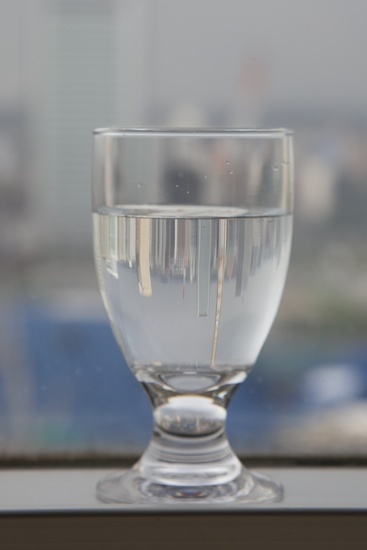 [Read more…] about Q: Is it true that drinking more water would be good for my skin? Ichthyosis is the term used for a family of skin conditions that are characterized by a thickened stratum corneum and/or visible scales covering most or all of the body surface. Most ichthyoses are inherited – yet paradoxically, often people with ichthyosis know of no one else in their families with their condition. This can happen if the genetic change that produces the skin condition began with them – that is, if it was a new mutation. [Read more…] about What Is Ichthyosis? What Is the Best Lotion for My Dry Skin? The best treatment for dry skin may not be a lotion at all. Dry skin is the result of a problem with the stratum corneum and it’s ability to hold water within the tissue. Many times this can be the result of a deficiency in the quantity or types of lipids (fats) that the skin employs to waterproof our bodies. In the past it could be easily said that lotions are mostly water and they would not deliver sufficient quantities of lipid to the skin to improve its waterproofing abilities. These lotions typically felt good when they were initially applied to the skin, but they often had the net effect of drying it out – leaving the skin drier than ever. As the water in the lotion evaporates from the skin surface, it pulls some of the skin’s own water with it. Although lotions tended to be easier to spread over the skin, dermatologists often preferred to recommend products in a cream or ointment base, because these types of emollients would supply more of the moisture trapping lipids. With advances in the technology of formulations, this paradigm has shifted somewhat. Currently, some lotions can be quite lipid-rich and some creams quite watery. In addition to the lipid content of emollients, another consideration is their pH. The optimal pH for skin care products would be in the acid range. Yet most consumers will have little information to guide them in their choice of emollient, either in terms of its water content or its pH. A recent study by Shi and coworkers examined the pH and water content of a number of emollients available in the US. We have summarized this information in our free booklet, Taking Good Care of Your Skin.